Trident Literacy Association’s mission is to help adults reverse the cycle and impact of generational poverty and illiteracy through the acquisition of vital life skills. Trident Literacy Association (TLA) is a registered 501(c)(3) organization founded in 1972 and has since grown to one of the leading adult education agencies serving Charleston, Dorchester, Berkeley counties, and the detention centers. TLA was founded in 1972 by Pat Gibson who used a shoebox of index cards to match adults who couldn’t read or write with volunteer tutors. Since then it has evolved into a well-respected, leading agency in adult education. Adult learners characteristically have had unsuccessful past educational experiences so as instructors we need to understand our student’s needs and provide an encouraging, no-fear learning atmosphere for the student. As the College and Career Navigator and Lead GED Teacher it is my focus to provide relevant and engaging learning opportunities for the adult learner. The goal is for our students to be better prepared for educational advancement and/or the workplace so they can increase their economic self-sufficiency and family stability. Our holistic approach includes basic literacy, GED-preparation, WIN WorkReady Certificates, English as a Second Language, and Digital Literacy. Adult Basic Education (ABE) focuses on reading, writing, math, computer skills, and Pre-GED/GED (Social Studies, Science) to small groups or individuals. English as a Second Language (ESL) concentrates on teaching English to non-native speakers in small groups. Computer and Digital Literacy classes assist students with instructional software, basic computer skills, career readiness, and WIN WorkReady. Two of the clearest determinants of health disparities in our society today are a person’s educational background and their zip code. Because ones’ physical and mental well-being is a crucial factor for a person success, TLA’s goal is to help adult students develop foundational skills needed so they can effectively transition to post-secondary institutions and/or careers. Instructors prepare students for their “next steps” by providing enriched learning opportunities that encourage and improve academic achievement, enhance mental and social well-being, and develops their college and career readiness skills. Students who successfully complete the programs offered at Trident Literacy are more qualified for employment hence making better salaries resulting in fewer people needing welfare, less crime, more productivity in the workforce, and increased tax revenue due to increase in employment which benefits the community. It is rewarding beyond words to be part of transforming a person’s life. Being literate in the 21st Century allows a person to have a life with personal, political, and economic freedoms. By providing a safe non-judgmental environment focused on emotional/social skills, education, and career readiness instruction TLA students become successful productive citizens within the community. I currently serve on the Health Data work group and I am the Co-chair the Behavioral Health Subcommittee. The Tri-county has needed a way to address the health issues for quite some time. Research states that individuals with higher levels of education and higher incomes have fewer chronic diseases compared to those with less education and lower income levels. Education is one of the main factors of health disparities in our communities. Our students and their families face many challenges and barriers concerning health care due to lack of knowledge and understanding. In our society health care requires advanced comprehension and understanding to navigate the health systems effectively. Many reviews of health literacy found that individuals with lower levels of education had minimal knowledge and comprehension abilities to interpret medication labels and medical information. Lack of education and basic skills also lead to increased hospital and emergency care, decreased preventive care, poorer overall health, and higher mortality rates. As an educator I realize the overwhelming factors that face our community and hope that working with Healthy Tri-County I will be able to provide better educational opportunities and resources about health risks and health care. I have truly been amazed at the process and commitment involved to promote, develop and implement the TCHIP. Identifying the communities’ health concerns/ needs and developing a framework to make the vision a reality is remarkable. The community-wide collaborative effort of organizations (professional and faith based), health providers, businesses, individuals, etc. assures the success of the TCHIP. I am eager and motivated to be a part of this action-oriented strategic plan as it transforms and improves the health and well-being of everyone in the Tricounty. 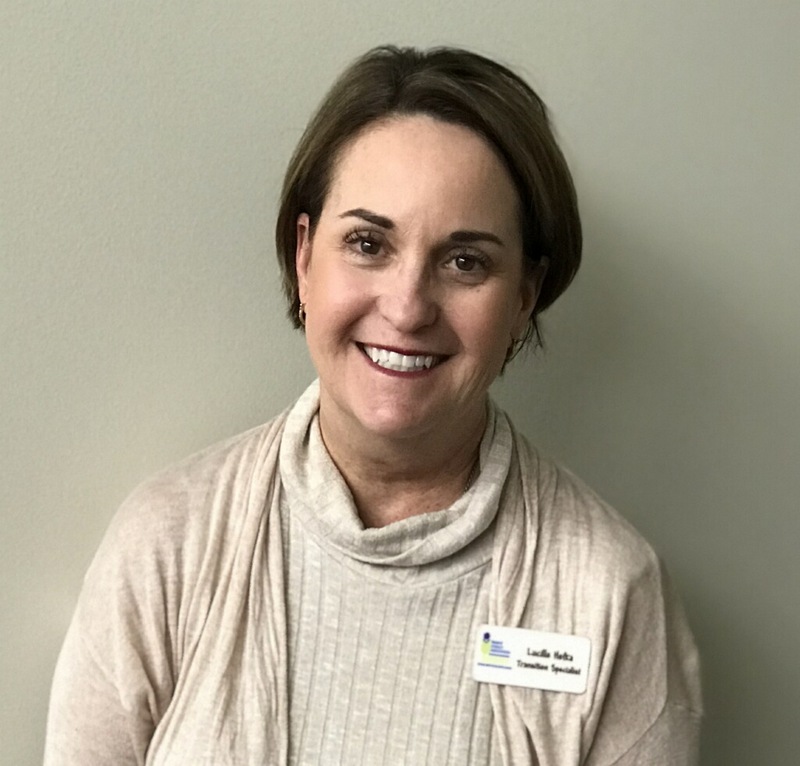 March is International Women’s Month and each March Trident Literacy celebrates our Founder, Pat Gibson, along with other outstanding women leaders in our community. Our signature event will be hosted at Founder’s Hall at Charles Towne Landing from 12:00-1:30pm on Thursday, March 7, 2019. We will be honoring the following outstanding women leaders; Brenda Carter, South Carolina Tennis Hall of Famer, Dot Scott, President of the Charleston Chapter NAACP, Dr. Giovanna De Luca, Founder and Artistic Director of Nuovo Cinema Italanio Film Festival and Professor at the College of Charleston, Jennet Robinson Alterman, Women’s Rights Advocate and Nathalie Dupree, cookbook author, chef, cooking show host and James Beard Award winner.